While many artists pay lip service to social causes, just a small handful actually demonstrate their commitment to said causes in concrete form . Gomez , a singer/songwriter who was raised on Portland and now residing in L.A., suffered from stuttering as a young child, which caused him to endure endless bullying. To concide with October’s National Bullying Prevention Month, he is not only donating profits from his record, but also producing and performing in a major benefit concert on October 9th with proceeds also going to PACER. Eddie is setting a good example as an artist going beyond just delivering a message and actually taking concrete steps to address a cause which is important to him. Hopefully more will follow his lead. TWK hit Hollywood once again, this time to speak with New York Times Best-selling author Leigh Bardugo at the release party for her new novel Siege and Storm–part 2 of her Grisha Trilogy. We had a lot of fun, and consumed many yummy hors d’oeuvres and beverages while we were at it! Hollywood is a world of fantasy, where dreams of stardom and riches can come true for those with lots of ambition and a bit of luck. Underneath the glitter, however, is a reality which isn’t quite so bright: the problem of homelessness, one which is prevalent in Southern California despite the enormous riches and opportunity which can be found here. Two teen Hollywood actors have decided to do something about this by increasing awareness through a new documentary called “Hope for Our Own: An L.A. Story.” The film, which is being shot and produced by actor Jimmy Deshler, best known as “Rafe” on the extremely popular and long-lived soap opera General Hospital, and Riley Beres, best known for her role on “Matumbo Goldberg,” will bring viewers a first-hand view of the many faces of homelessness and also illuminate some “shocking facts,” according to the filmmakers. TWK: With so many causes out there why did you choose to advocate for the homeless?Any personal reasons? Riley: For me, I met a guy at the end of our visit to Hope of The Valley’s breakfast held at St. David’s Church. He came up to us and asked us to film him. His words and his presence just sort of spoke to me. It made me think of how many homeless people are around our city and how we don’t always look at homelessness with the full picture. It make me think about how I feel when I see homelessness and it made me ask, “if I don’t really see homelessness outside of what I see on the streets, how do others see homelessness? And, how do we change that?” I mean people volunteer at animal shelters, hospitals, for admirable causes such as cancer or diabetes, but we aren’t really talking about volunteering and changing our outlook on homelessness. Homelessness is a loss of resource in our community and it affects our economy. I feel that the majority of people, I myself can be put it in that category, don’t really see homelessness outside of people who are chronically homeless; and I think there is a fear there that needs to be addressed so more people will come forward and help out. There is a stigma attached to it, based on what is easily seen but there is so much more to it than that and we all need a little education on it. I just don’t think people are talking about it enough and we need to start a conversation in order to initiate change. Personally, there has been a member or two in my extended family that have experienced homelessness, that had feeling of no way out and they rebounded. I feel, that it can and does happen. We as a public need to understand that. TWK: So who is actually going to run the camera, Riley or Jimmy? Tell us what each of you will do. Riley: Both Jimmy and I will be running the camera at different times. We will be alternating on asking interview questions and filming the interview itself. Both of us will be putting our input on any B-Roll that is included in the film. Basically, we are both an eye to the Director of Photography, as we compliment each other very well in our differences. TWK: What do you think is the biggest misconception people have about homelessness? Riley: In reality, homelessness could happen to absolutely anyone at anytime. TWK: What is the biggest challenge to getting your film done? Riley: This is really a two-fold answer in that we have two hurdles. The first is raising the money for filming permit. The second, is getting people to come forward with their stories of homelessness, since it is such a private struggle and people are afraid of being labeled. Jimmy: The actual filming process is the least of our worries. We are more focused on raising funds for editing as well as promoting our film. TWK: What are your plans once the film is done? Jimmy: We plan to enter the film into some festivals and hopefully get good feedback and continue entering larger festivals. We also hope to use the film as an educational piece in schools and organizations. I plan to take what I learn during this process and volunteer my help to the different shelters in my area. I also plan on encouraging younger people to get involved with volunteering. Riley: Of course, we would like to submit it to film festivals to get the word out there and start making our LA community thinking about homelessness in a new way. It is inspiring to see these two teens in action to raise awareness for such a great cause! For more information, or to support these two filmmakers in their efforts, check out the links below. Playlists are so much fun to create. Whether it’s for a special event, for a friend, or simply music to play in the background while I write a screenplay (or a blog post! ), I tend to put a lot of thought into the songs I select. As an actress, I sometimes create playlists for certain projects/characters and listen to certain songs before filming or performing. My current show, BEFORE A FALL, is being called “Justified” meets “To Kill A Mockingbird.” My character’s name is Darla, and her journey is really emotional and intense. Here are the songs I’ve been listening to before rehearsals and performances, with some choice lyrics noted here and there. There are some new songs, some older tunes, a mix of genres – pop/rock, country, even musical theatre – and I hope you like hearing familiar voices as well as new-to-you artists! Note: I usually put the songs in a particular order, but because this show is presented in a non-linear format, I like to put the playlist on shuffle and see what happens – but I always, ALWAYS start with Stepping Stone by The Good Mad! If you hear me singing between scenes, chances are, that’s what I’m singing. Here’s a player for you to hear the songs – free streaming music! Was it worth giving all I gave? If you don’t see the music player embedded in this post, click here to listen to the playlist on Grooveshark. Allie Costa is a Los Angeles-based actress working in film, TV, theatre, and voiceover. She can usually be found on a set, in a theatre, or in a secondhand bookstore. She worked with the hosts of Teens Wanna Know on the film Nerd Wars! Her character, Natalie Grace, was named after legendary actresses Natalie Wood and Grace Kelly. Allie is an active member of readergirlz, a literacy and social media project for teens which was awarded the National Book Award for Innovations in Reading. If you missed this year’s Operation Teen Book Drop and would like to participate in future events, reach out to readergirlz via Twitter – @readergirlz #rockthedrop – or Facebook, or just ask Allie for details! DOWNTOWN BURBANK, Calif. – The region’s most fabulous automobiles will cruise into Downtown Burbank for the 2nd annual Car Classic featuring restored and pre-1974 vehicles, exotics, hot rods and bikes on San Fernando Boulevard between Magnolia Boulevard and Angeleno Avenue, Saturday, July 27 from 3:00 to 9:00 pm. The Downtown Burbank Car Classic is free and open to the public. In tune with Downtown Burbank’s ties to the entertainment industry, cars with a “Hollywood” twist will be in the spotlight — those appearing in film or television, or having a distinguished pedigree of celebrity ownership. Rounding off the fun will be family entertainment, music, and automotive-related vendor booths. Sponsored by Downtown Burbank Partnership, the show will be held on four city blocks packed with retail, restaurants and eateries, and will integrate top automotive design with the upbeat vibe of Burbank’s legendary downtown shopping district. Jenna was left comatose after a tragic accident. 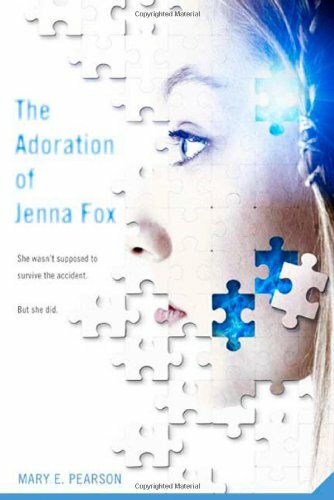 One year later, she awakens to a life she can’t recall, a body she doesn’t recognize, two parents and a grandmother doesn’t really know, and a house she can’t leave – they say she has to stay at home for a while in order to make full recovery and avoid a relapse. While watching home videos, Jenna starts to suspect something isn’t right, that they aren’t telling her everything about the accident – that they aren’t telling her everything about herself. The story begins when Lyra overhears something she shouldn’t have – and this newfound knowledge changes her whole world. A world which seems a lot like our world, except for the fact that every child is born with a daemon, an animal who can shape-shift until its human gets a little older. Then it stays in a shape which usually matches their human’s personality and job. The daemon is like the human’s best friend, pet, and sibling all rolled up into one: like another version of themselves, just with paws or fur or fangs or a tail! Through the course of the three books, Lyra, Pant, and a boy named Will take an amazing journey through alternate worlds. You might have seen the movie, which was an adaptation of the first book, but the books are so much better – deeper – stronger. They’ll make you think (and possibly cry!) and they are great book club picks for kids, teens, AND adults. Lia survived the accident – but she is no longer the person she used to be. Now she’s wired, fixed, changed by technology, and now she feels like she’s just a machine with memories. Soon, she feels torn between her past and her future, between her family and her new “mech” (mechanical) friends. A part of her wants to go home; another part of her doesn’t know where home is anymore. When new developments and new people offer her ways to become even more mechanical, she must decide who and what she is now. The books cover a little over a year in her life. You’ll want to read the three books back-to-back-to-back. Note: If you find the first printing of the books, when they were called the Skinned trilogy, the titles are Skinned, Crashed, and Wired. 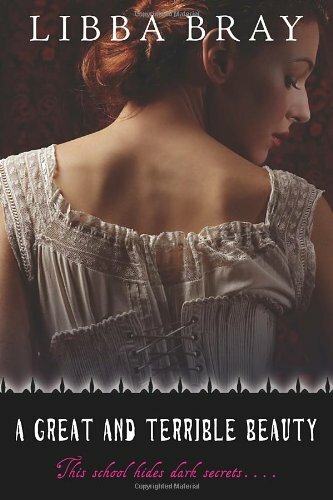 This historical fantasy trilogy is set in the Victorian era. After the death of her mother, Gemma is sent to an all-girls boarding school. Plagued by visions that keep coming true, Gemma bonds with three other girls, forming a secret society of sorts that explores the Realms, a place filled with magic and danger. 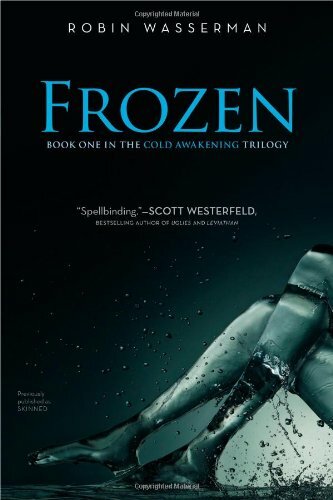 Incredibly imaginative and intriguing, this trilogy is a lovely hybrid of history, mystery, and the supernatural. Libba Bray’s writing is absolutely gorgeous, witty and smart, funny and serious, making each book an intense read. The books are long and lovely. 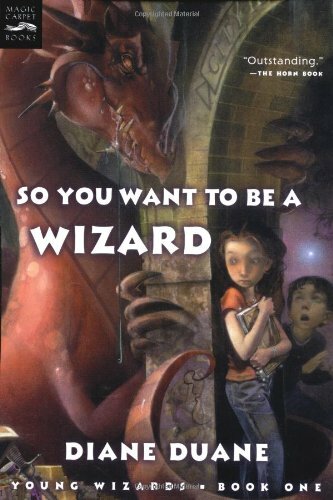 Give the Young Wizards series to Harry Potter fans! Nita and Kit, two thirteen-year-olds living in Manhattan, discover that magic is real and happens every day all over the world. After they take the Wizard’s Oath and begin training with adult wizards, they become more and more adept at magic and wizardry. Even with their exciting new abilities, they still have to carry on with their “regular” lives – school, homework, all the “normal” things. The core themes of the series include honesty, acceptance, and inner strength, with plenty of action and adversaries to keep you turning pages. This is just the tip of the iceberg! There are so many amazing books out there, in all different genres. I hope you’ll check out some of the titles I’ve recommended, and leave me additional suggestions in the comments below. The American Icon Tour is kicking off on May 28th at the House of Blues in Anaheim. Tickets are only $10, with $20 for special VIP meet and greet tickets. plus a special local contest winner! The event is sponsored by the Make-A-Wish Foundation of Orange County and the Inland Empire, and benefits the Orange County Ronald McDonald House. Contact Lasting Legacy PR at lastinglegacypr@gmail.com for tickets today! Teens Wanna Know does not warrant the accuracy of the statements contained within nor endorse any event, audition, production company, casting agency, act, etc. mentioned unless specifically noted, and is also not responsible for any errors, omissions or cancellations. Be smart and do your own research! Otherworldly YA: Five Fantastic Sci-Fi/Fantasy Series You Should Read NOW! Looking for an awesome YA book that will take you out of this world? Dive into one of these fantastic series – You won’t be sorry! At age nineteen, Jack Dwyer’s best friend Artie is murdered. Not by humans, but by Prowlers, a group of ancient creatures whose handiwork is typically thought to be that of wolves. But these are no wolves. They are animals, but their ability to think, their emotions and their need for revenge makes them as cunning as humans. Jack, as well as most of America, knows nothing of the Prowlers… That is, until Artie travels from the Ghostlands to tell his friend what truly happened. Jack’s life will never be the same. 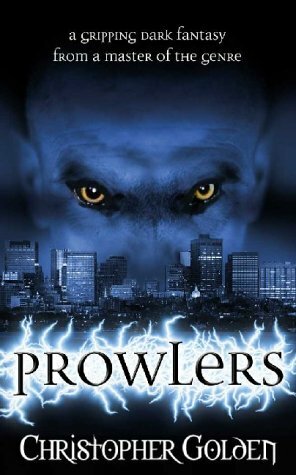 For those of you who want something to download to your Kindle/Nook/e-reader, keep your eyes peeled: The author has informed me that e-book editions of the entire Prowlers series will be available soon! Immortals seem to be one of the hottest storylines these days. The Fallen is the best series with an angel at its core. 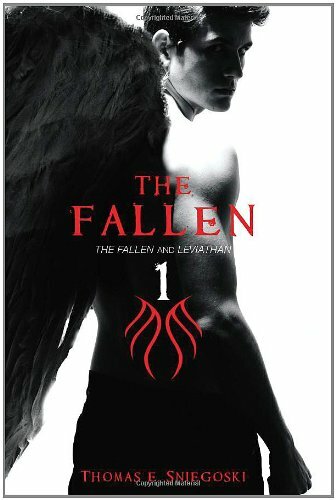 If you like the similarly-named Fallen series by Lauren Kate, you’ll absolutely love The Fallen books by Tom Sniegoski. Eighteen-year-old Aaron has always known that he was adopted, but he never suspected he was half-angel – or that he could be a hero in the ultimate fight between good and evil. 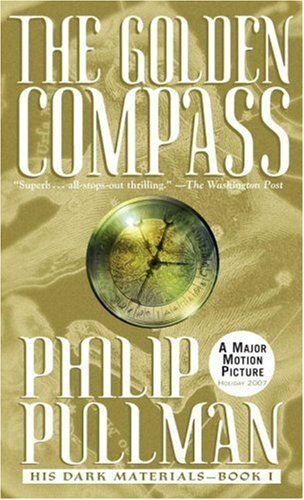 Shortly after his lineage is revealed, his younger brother is stolen away, and Aaron will do anything to get him back. Along the way, he is accompanied by his loyal Labrador, Gabriel, and discovers an unexpected connection to his beautiful classmate, Vilma Santiago. Four Fallen books are out so far, with the fifth book, Armageddon, coming out in August. Fun fact: Before he portrayed Stefan Salvatore in The Vampire Diaries, Paul Wesley starred as Aaron Corbet in the film adaptation of Fallen – and Bryan Cranston from Breaking Bad played Lucifer! All three books – Uglies, Pretties, Specials – have action sequences packed with octane. They’ll totally make you wish you could travel by hoverboard. The ending of Specials will challenge readers to think, really think, about what they take for granted and what they should truly value. Go, Tally! Also check out the Uglies graphic novel series, a non-fiction guide, and a “companion” story called Extras. I also really like Scott Westerfeld’s darkly funny vampire book, Peeps. Looking for something a little lighter? In a fun world where many people have fairies that grant them unusual bits of luck, Charlotte (Charlie) feels cursed by her gift: the ability to always get a good parking spot. She’s not even old enough to drive yet, so others – such as her mum and a dim bully at her school – drag her into their cars to play passenger. Fed up, Charlie teams up with Fiorenze, a popular girl who has an all-the-boys-like-you fairy, and the two attempt to switch their fairies. Comedic chaos ensues. 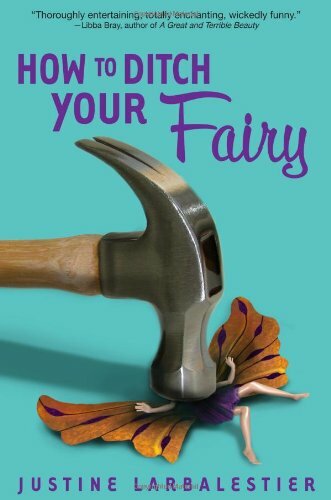 How to Ditch Your Fairy is utterly delightful. You won’t ditch this funny fantasy — you’ll stay up to finish reading it! Recognize her name? Holly co-wrote The Spiderwick Chronicles with Tony DiTerlizzi. 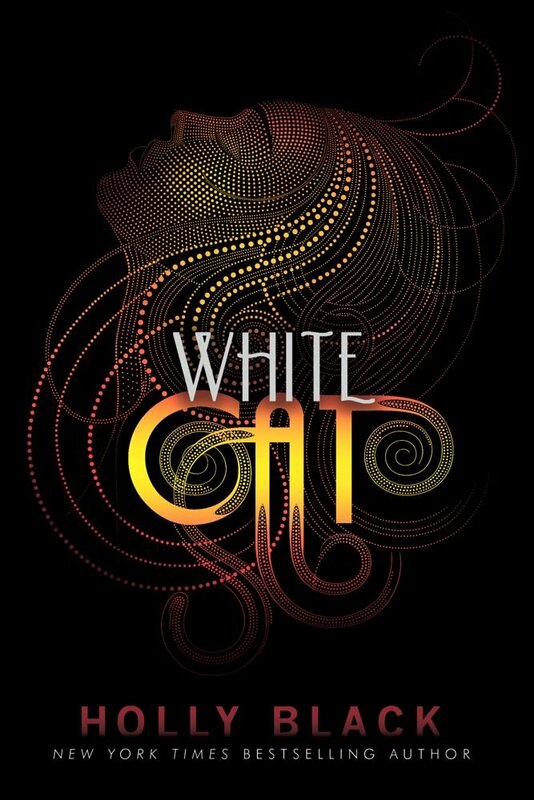 For an older audience, there’s her Curse Workers trilogy: White Cat, Red Glove, and Black Heart. Cassel, the youngest of three brothers, is the only person in his family without a magical ability, such as changing people’s memories, luck, or feelings simply by touching them. Cassel and everyone he knows has to wear gloves, whether or not they have powers, to protect themselves from those who would use their abilities for evil. Holly Black also has three interconnected stories about modern faeries: Tithe, Valiant, and Ironside. I’m looking forward to her next book, The Coldest Girl in Coldtown, which comes out in September. Want more book recommendations? Leave a comment below with your favorite books, genres, or authors, and general age range, and I’ll give you a personalized reading list! Held at the Queen Mary Waterfront Events Park, the event features live bands, a Jack Daniel’s Back Yard Bar, Merchant Market, Kid’s Country including obstacle course and Adult Lawn Games area with giant beer pong, there will also be a special appearance by The LA King’s Ice Crew. Tickets do not include entry to the ship or attractions. Who: West Coasters from near and far are invited to join top pit masters from around the country at this one-day BBQ Championship featuring music by local favorites: Knyght Ryder, The Record Company and The Shoemaker Brothers. Queen Mary West Coast BBQ Classic playlist available on Spotify. The following is a notice published as a free service to the entertainment industry. Teens Wanna Know does not warrant the accuracy of the statements contained within nor endorse any event, audition, production company, casting agency, act, etc. mentioned unless specifically noted, and is also not responsible for any errors, omissions or cancellations. Be smart and do your own research! Hollywood Auditions for our up coming TV Show “Latin Flava”. Hip Hop kids in the hundreds will be auditioning and fighting for the top 10 spots for the Hottest new Kids show on the Planet. We will have a celebrity panel of Judges and are expecting hundreds of kids. We are filming and interviewing kids like American Idol does, getting stories from the kids about their excitement of the show, why they love to dance, and how they are following their dreams as a dancer etc. Jamile McGee from the first season of the hit Fox series, “So You Think You Can Dance?” Jamile rose to the top of the judges hearts and millions of fans throughout the world, So You Think You Can Dance was just the beginning, since then his career has led him to choreograph and dance with artists & celebrities around the world. He’s worked with Wayne Brady, LXD, the legendary Mike Tyson, Gloria Estefan, Mariah Carey, Katie Perry, Nicki Minaj, Beyonce, Rihanna, Chris Brown, and so many more famous faces! Jamile recently choreographed an honorary performance for Chaka Khan, on BET’S UNCF Awards Show! Major King Debbie Allen’s Tech Director.. Talented and Passionate About Hip Hop Dance. Come With A 30 Second Dance Piece That You Created make sure to bring your own music. April 18th 2013 From 5pm-10pm PM, Must Bring Parent/Guardian. No crew/group auditions we are putting our own crew together individuals auditions ONLY! !